I will turn 43 years old on Sunday, January 29. I'm usually not one to make a big deal about birthdays. I'm not big on forced merriment, and I don't like to remind myself that this may be the first year that I will be older than 100% of the Red Sox 40-man roster. If you feel inclined to do more than that (I know most of you are going to vote against it anyway), please consider donating, volunteering, or attending an event. If you aren't based in NC, please consider donating. We need all the help we can get. I've explained why I'm against this amendment. It's not rocket science. I want to remind everyone that this amendment, if passed, will affect you and your neighbors. 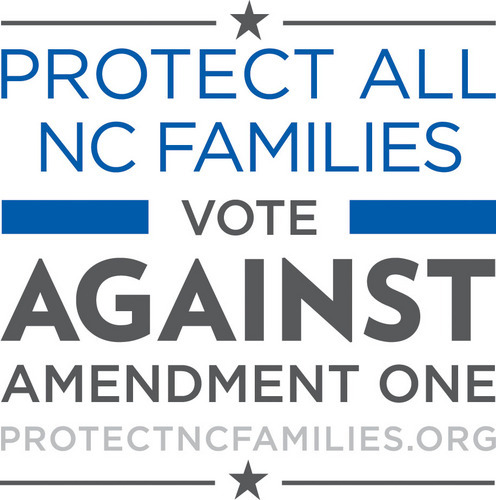 It will strip basic protections from hundreds of thousands of North Carolina families. 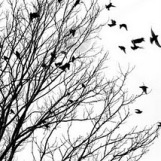 It will threaten child custody and visitation laws and increases risk factors for teen suicide. It will threaten domestic violence protections for all unmarried couples. 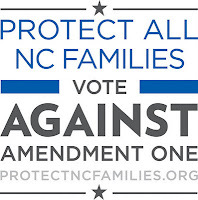 It will threaten North Carolinians' most basic personal freedoms. It will harm our great state's economy. Perhaps the best reason for voting against this amendment is the fact that we should never put our citizens' civil rights up for a vote. If your religious views make you hesitant to commit, consider the growing number in the faith community who have no problem reconciling their vote with their faith. Talk to your family members. Reach out to the people who you feel might not have all the information they need to accurately assess the damage this amendment could cause. Engage people in your communities, your schools, and your churches. Inform your Facebook friends and Twitter followers. Blog, send emails, and share links to resources. Pass this post along to friends who don't even know me. If your birthday is coming up (or not), pass this along to your friends and ask the same. I don't ask for much. The best birthday present I could receive would be to know that each of you consider doing something -- whatever you can -- to help defeat this initiative. Happy Birthday! I am so glad I was pointed in the direction of your blog and so thankful you have ways to get involved in voting against amendment 1. As a North Carolinian myself, I haven't seen many being too vocal against it. I notice you didn't even take your birthday off from fighting the good fight. Well done and I hope it was a good one. A belated very happy birthday!